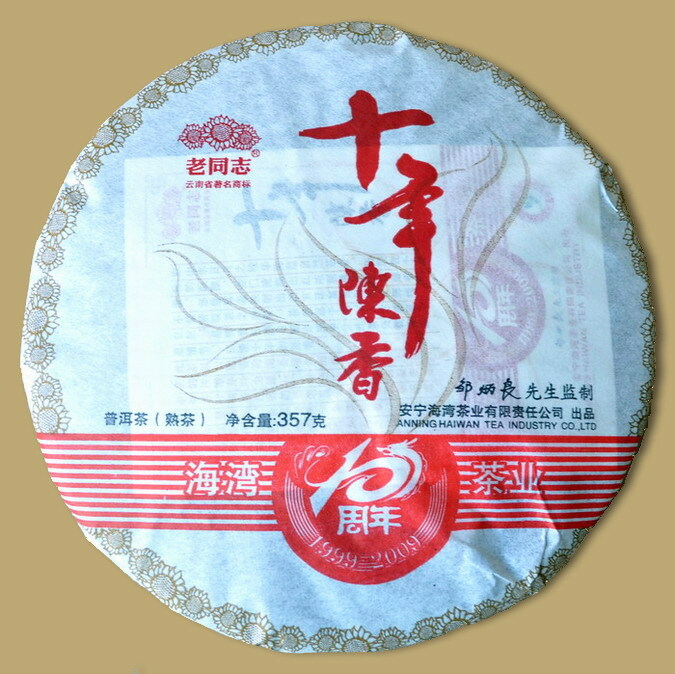 Haiwan has released this premium ripe Pu-erh for 10th anniversary of the founding of the factory, called "10 Years Aromatic" (Shi Nian Cheng Xiang), it is composed of high quality sun-dried leaves from arbor tea trees in area over 1700 metres in altitude from the Menghai region, prepared by Mr. Zhou Bing Liang, the prestigious Pu-erh tea expert who is in charge of the complete tea processing methods to guarantee a premium quality. 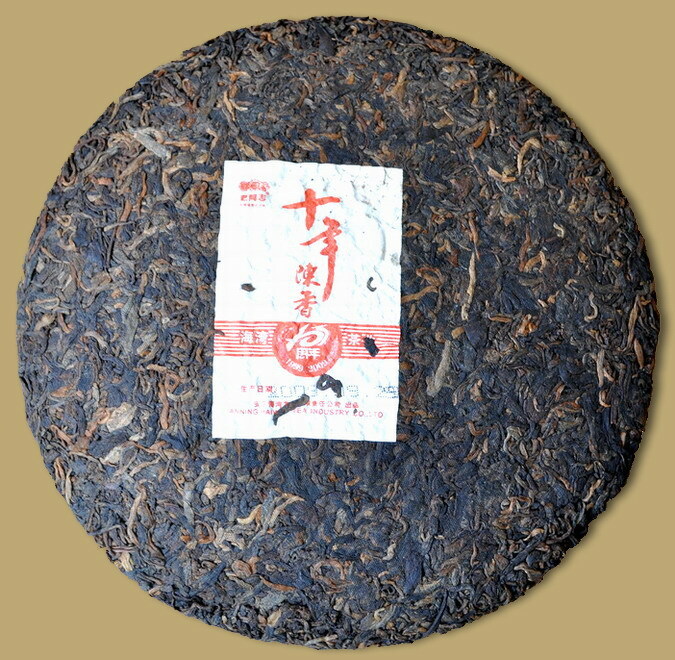 The tea gives for a superior flavor and swallows extremely well. 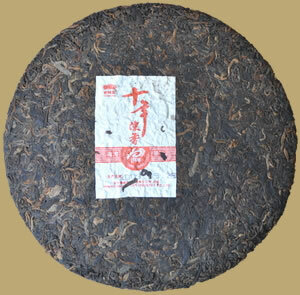 A fine addition to your Pu-erh collection.